Address the complexity of smart, automated and electrified products that bring together mechanics, electrics, electronics and controls. Optimize system performance earlier in the design process, improve product quality and reduce development time and costs. Using Simcenter system simulation solutions, you can evaluate and balance potentially conflicting performance attributes (such as thermal management, operability, drivability or fuel efficiency) from the early development stages until the final performance validation and controls calibration. To deal with an increased number of requirements, use cases and architectural variants, you can rapidly create heterogeneous system simulation architectures and share your models with the global engineering team. 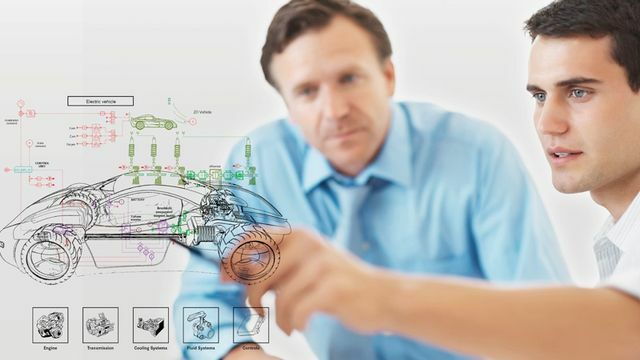 In addition, to help you bring more successful products to the market rapidly, the concept of digital twin has been extended to on-board software engineering.